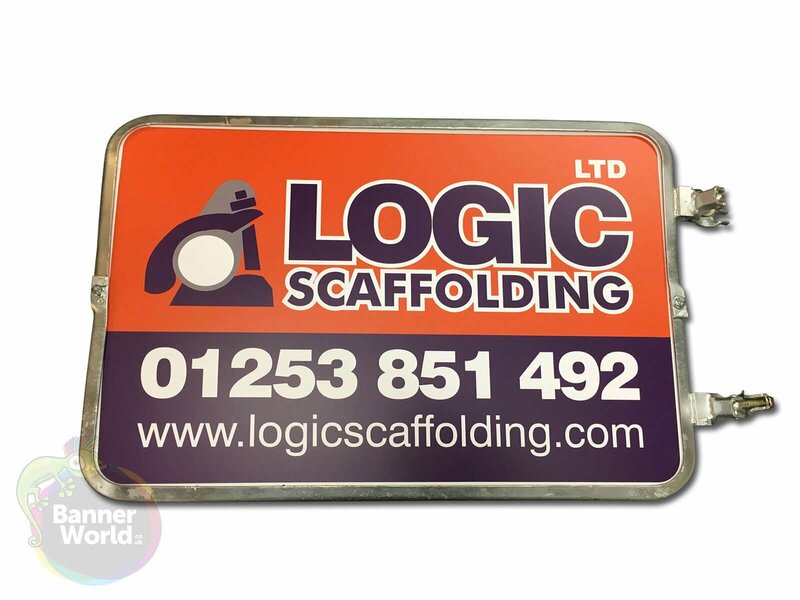 Steel Scaffold Signs measuring 915mm x 610mm (3ft x 2ft) with frame, fixing brackets and a tough double-sided printed panel made from 10mm thick PVC plastic (Foamex). Not to be compared to the cheap Correx panels from other suppliers which can blow out in the wind. 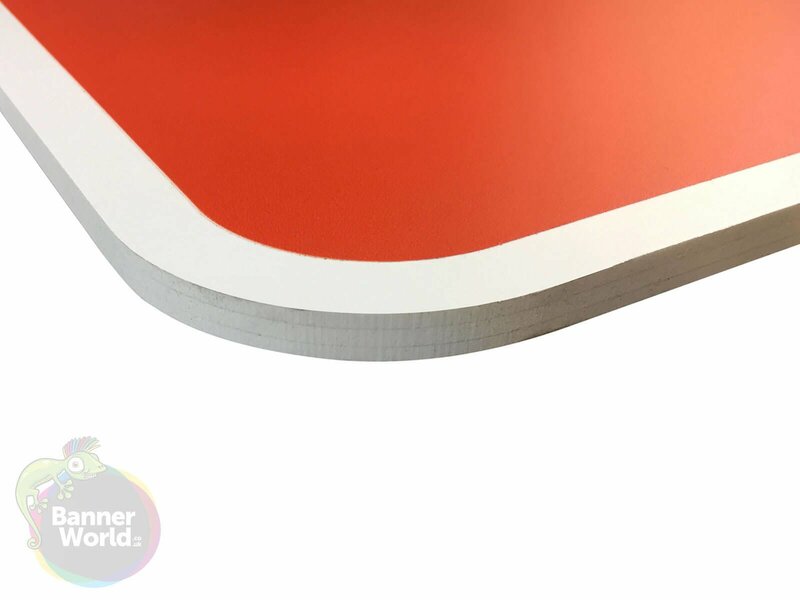 Our printed boards are scratch-resistant and fade-resistant, being coated with a tough UV-protective clear laminate. 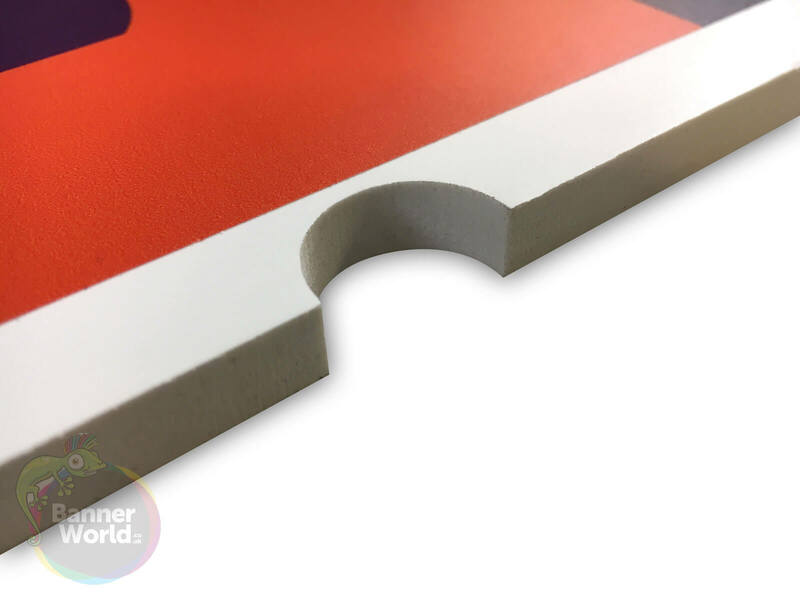 The boards are CNC routed prior to printing to ensure a perfect fit within our steel frames. The frame is clamped around the signboard meaning that the board will never work loose like a thin correx panel or be in danger of blowing out in the wind. 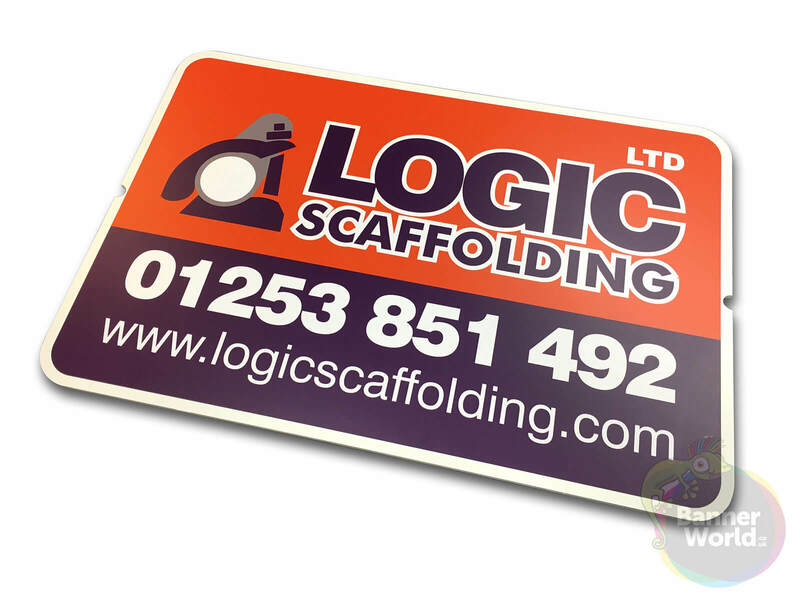 Printed Boards are also available separately. Minimum order quantity – 10 signs. 2-3 working days from confirmation of artwork and payment. What size should I design my artwork to? 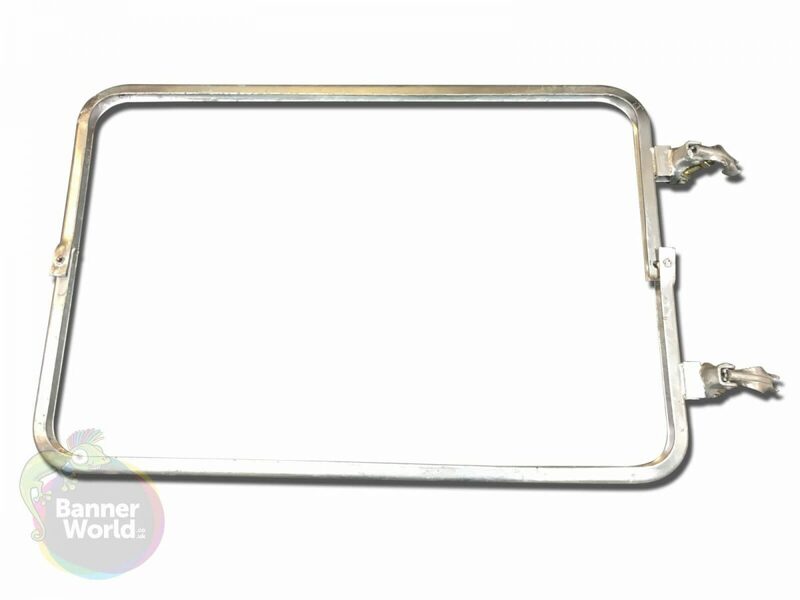 Design to a template of 915mm x 610mm. No bleed is necessary. Keep all important text and logos to within 50mm of the edges. Can I design in full colour? Yes you can. 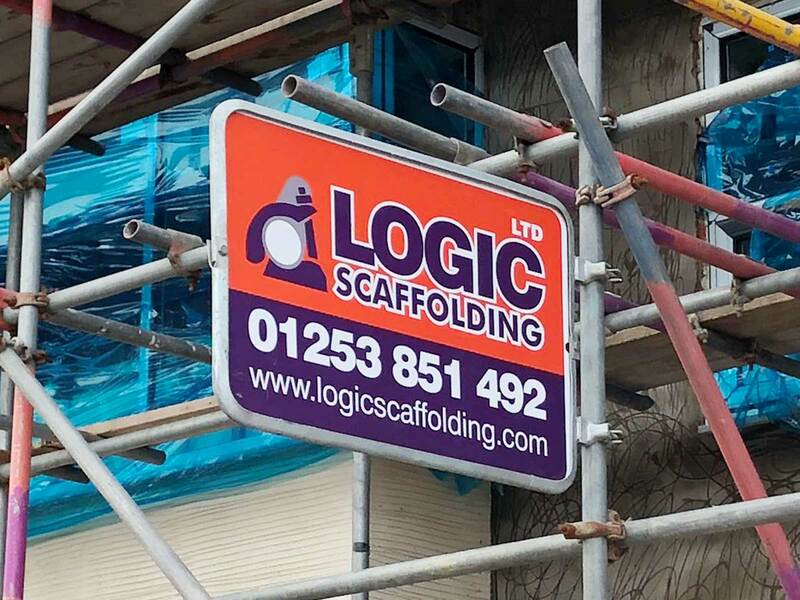 On a Scaffold Sign though information should be kept to a minimum. Ensure that everything is readable from ground level. Can you help with artwork? Yes we can, please call or email for details.